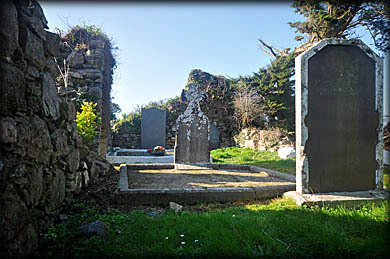 In Hooks townland are the remains of Kilcowan parish church. It stands within an early ecclesiastical site founded by St Cuan of Aribhre, a contemporary of St Munna of Taghmon. 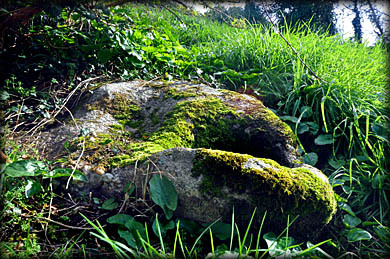 He is also associated with Tobar Chuain in Mothel, Waterford. A Norman motte is situated in the field west of the church. It was held by the Keatings around the middle of the 13th century. 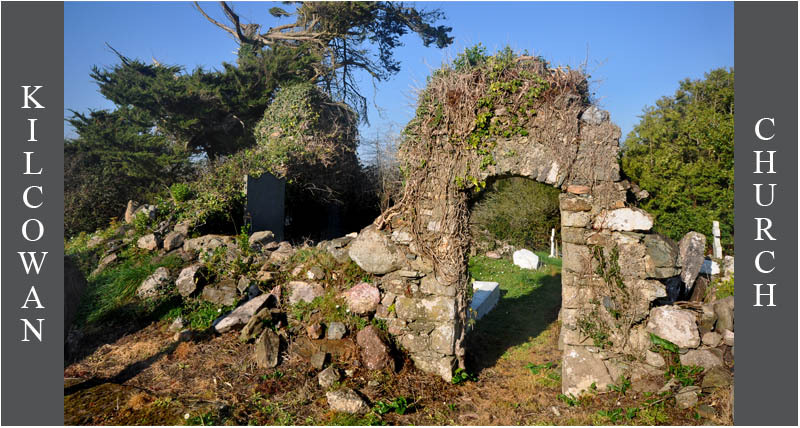 A few kilometres south east of Enniscorthy in Ballybrennan townland stands the ruin of the Parish church of Kilcowanmore, it was granted to the Keatings by the Knights Hospitallers in 1338. 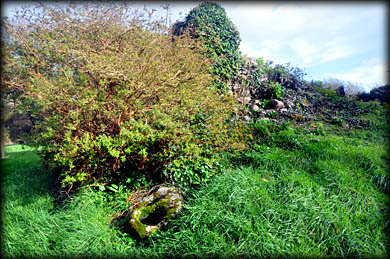 South of that church is a holy well dedicated to St Cowan or St Cuan of Aribhre. I had visited Kilcowan church a week earlier but had failed to locate the bullaun stone and the Norman motte. I had mixed up the location of the bullaun with another stone and the motte is marked in the wrong location on the O.S map. I was near the area so called back for another look. 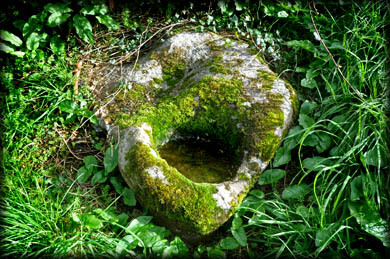 The bullaun stone is very is to find, it is located near the northwest angle of the church. 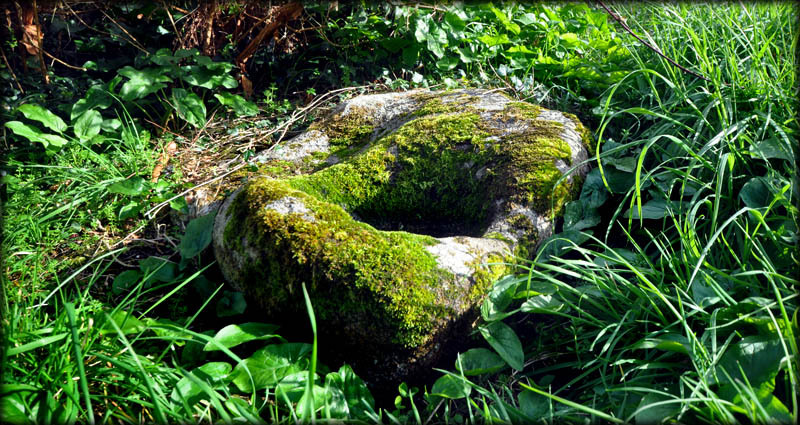 This impressive, moss covered, granite stone is almost a metre in length with a large single basin. Situated: From Bridgetown in Wexford head west on the R736. Cross over the R738, staying on the 736. Then take the first left. About 200 metres down here on the right is a wooden gate that leads to the church. Discovery Map 77: S 9586 0961. Last visit Mar 2019. Latitude: 52° 13' 48" N.